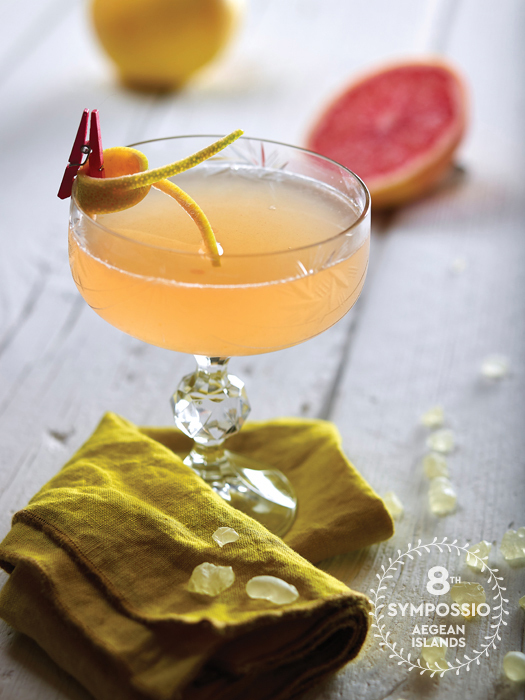 Ingredients 100ml Assyrtiko Santorini wine 15ml fresh lime juice 15ml rose syrup 1 bar spoon apricot marmalade 1 drop of orange aromatic bitters How to make it Pour all ingredients in the shaker and shake well with ice. Strain the mix into a wine glass over crushed ice. Garnish with dried lime, apricot and a rose petal.